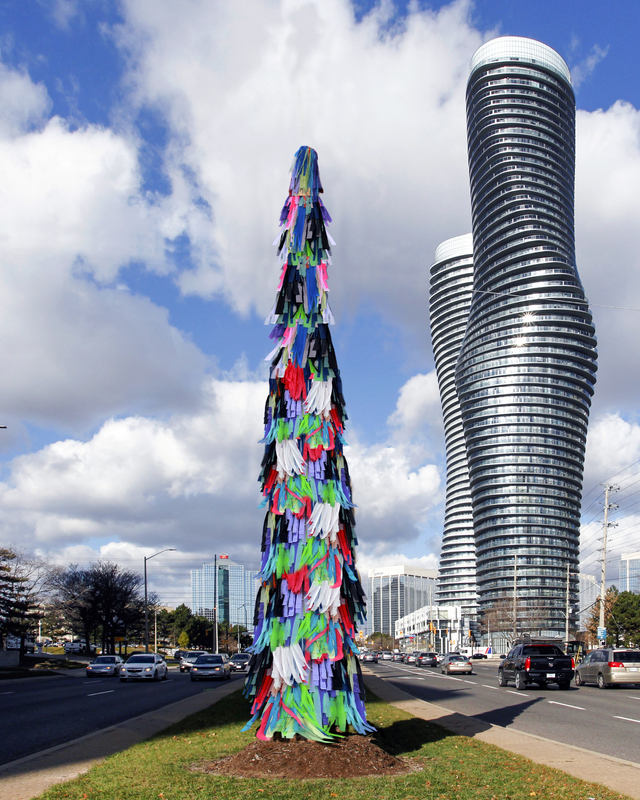 Public art installation unwraps along Hurontario St.
Mississauga’s newest public art installation is being revealed in the downtown core starting Tuesday. Trees lining the centre of Hurontario St., near Burnhamthorpe Rd., are taking the stage for the third straight year in the public art program. Pyramidal oak trees are being used to display diversity of cultures and ethnicities which unite us as a nation, according to a news release. The installation has been designed in honour of Canada’s 150th anniversary in 2017. It will take roughly one week to unwrap the trees. These are a disaster ! !- they look awful , especially when the wind is blowing . I have seen individual pieces fly off .